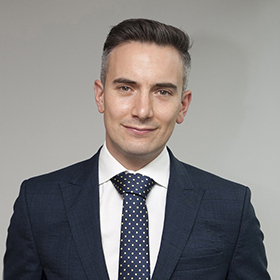 Prior to joining NSN Luke was Director of Strategy at Ofsted where he oversaw the development of Ofsted’s five-year strategy and supported the design of the 2019 Education Inspection Framework, as well as managing the organisations research, evaluation and external relations teams. He joined Ofsted having spent two years as Special Adviser to Nicky Morgan, the then Secretary of State for Education, acting as her Chief of Staff and spokesperson. While at the DfE he oversaw the passage of the 2015 Education and Adoption Bill and the 2016 White Paper. His early career was spent at Stonewall, where he led the organisation’s flagship campaign to tackle homophobic bullying in schools. Luke grew up in Halifax and graduated from Oxford university, where he also served as President of the Oxford Union.